Planning on picking up the HTC Incredible S? Well, it appears as though that Carphone Warehouse and Best Buy are going to be the exclusive sellers of the upcoming high-end Android powered smartphone. Carphone Warehouse will be the exclusive retailer in the UK selling the HTC Incredible S when it’s launched some time in the next month. 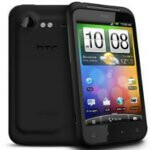 In fact, the handset is looking to bump off the HTC Desire HD as the flagship phone from HTC’s camp. Conversely, their US partner in Best Buy, will also lay claim as being the exclusive seller of the device in North America. Interestingly enough, this isn’t the only exclusive device we’ve seen the consumer electronics giant sell in the past, but more recently, we’ve seen them being the exclusive seller of the Google Nexus S.
From the onset, the HTC Incredible will be running Android 2.2 Froyo, but it’s reported to receive an upgrade to version 2.4 soon afterwards. Sorry if this is a dumb question, but who will be the carrier if you purchase this from Best Buy? OMG, Seriously? The phone is for Verizon, it does not matter if you buy it at Best Buy, Radios Shack, Walmart, or Costco, the phone will still be Verizon. Maybe you should go into a Best Buy and look how they have there phones set up. They carry phones for all 4 major carriers. You cannot choose the carrier like you can in Europe.